Alkanoyl group: A group consisting of a carbonyl group bonded to an alkyl group. Acetyl chloride, an acid chloride whose alkyl group is a methyl group (CH3). 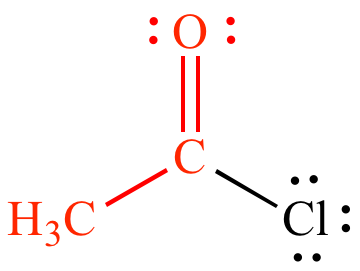 The alkanoyl group (an acetyl group) is shown in red. Methyl benzoate contains a benzoyl group, but does not contain an alkanoyl group.